« Don’t trust me, I’m a psychotherapist! 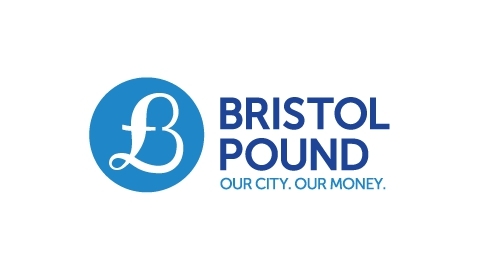 A while ba ck, I registered my private practice with the Bristol Pound. So Bristolians can now get support for themselves at the same time as supporting independent local trade by paying for therapy in Bristol Pounds. And by text message (how txt2pay works) no less. I would like to see Bristol’s counsellors and psychotherapists adopt the Bristol Pound, as I think we generate an interesting economic microcosm. Every therapist has a supervisor; that supervisor has a supervisor; who in turn has a supervisor, ad infinitum. In fact, there’s a great therapy film waiting to happen about a therapist seeing a supervisor whose therapist is her supervisee’s client (Shakespeare would soil his/their pants). Furthermore, the main counselling and psychotherapy professional bodies (BACP & UKCP respectively) require their members to attend to their Continuing Professional Development. Which is a bit like requiring cats to lick themselves, because CPD basically means attending trainings, workshops, writing articles, etc in all the interesting things to which counsellors and psychotherapists are already naturally drawn. Consequently, if a client pays me in Bristol Pounds, it is highly likely that between my room hire, supervision, personal therapy, and CPD, I could probably hand over all that money to other therapists. Who will hand that money over to other therapists. And so on. And so on. Until someone finally buys a latte or a person centred scarf (sorry) from someone outside of Therapy World. My point being, of course, that therapists end up handing over a significant proportion of their client fees to other therapists. And the gestalt therapy angle on this is field theory. Gestalt therapy models a person as an organism in an environment. One dimension of my environment is the economic environment. I’m thinking now of money as water, the economy as the water cycle, and the Bristol Pound as a dye trail showing how money flows around the local economic system. Where does the money flow? Businesses that spend a high proportion of their income within Bristol are keeping money flowing around the local system. This is in contrast to businesses like, say, Starbucks and Vodafone, that spend a low proportion of their income within Bristol. If money is water, then the long-term prospects for a Bristol that loses more water than it takes in is economic dehydration. Which is kind of the raison d’etre of the Bristol Pound: to increase local water retention. It has the potential to highlight who moves money around Bristol most effectively, and adds substance to an important discussion about what local economies are, and how they relate to regional, national, and international economies. Perhaps most importantly, it connects the individual with the collective in a tangible way. And that’s the essence of field theory in gestalt: an individual is an organism, and an organism is both an expression and shaper of the environment from which it continuously emerges. A change in individual behaviour as simple as buying coffee (with Bristol pounds!) from an independent local coffee shop instead of Starbucks, scales up to a dramatic shift in how the local economy works. Check out the directory of businesses accepting Bristol pounds to investigate how relevant to you this might be. And remember, the more a trader hears the question, “do you accept Bristol pounds?”, the more likely they are to get involved. Image scavenged from Positive Money’s “The Telegraph: Bristol Pound to Launch in September”.